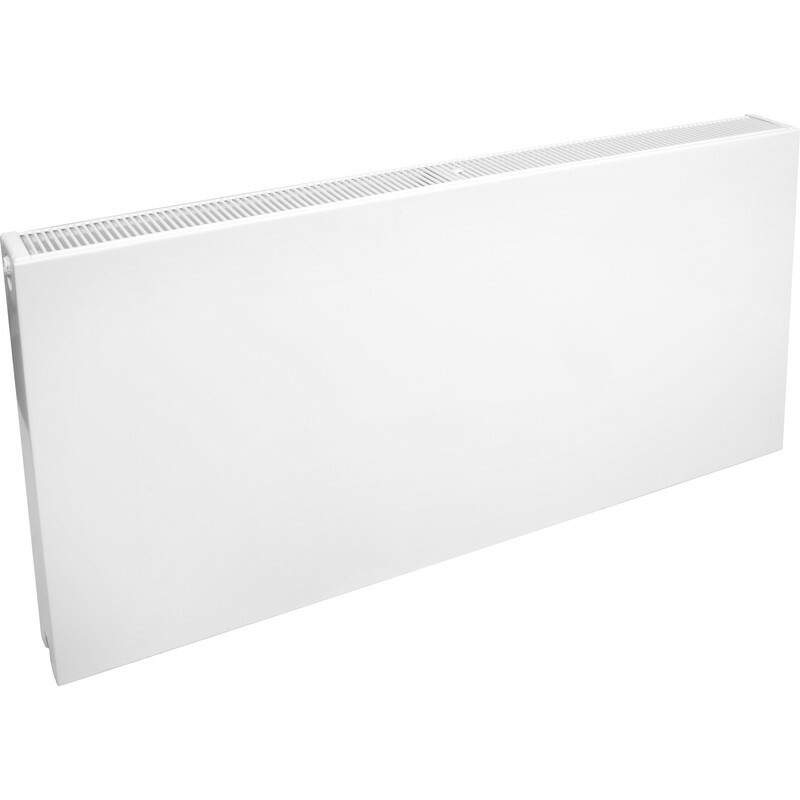 Flat faced, modern design radiator. Factory fitted top grilles and side panels. White paint finish. Supplied with brackets, wall fixings and bleed plugs. Pressure tested to 13 bar (working pressure 10 bar). Heat outputs to delta T50, Btu. Dimensions are height by width.